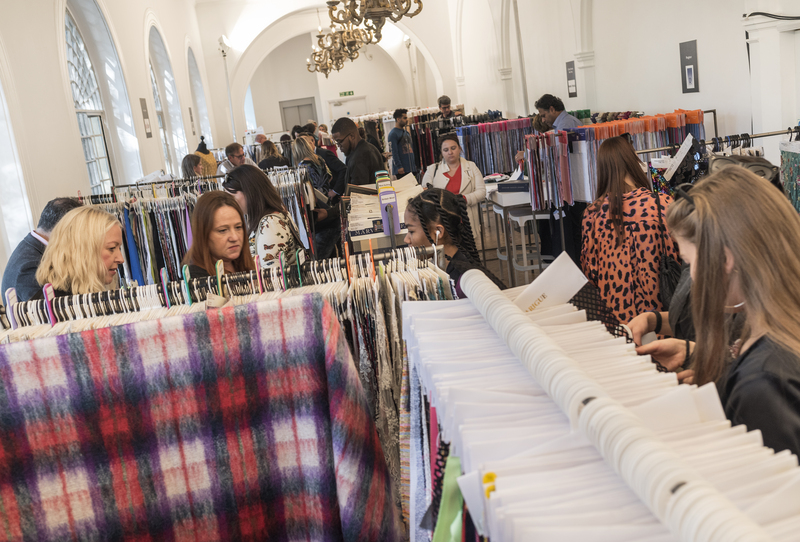 Last month’s Textile Forum was a huge success with buyers enjoying the relaxed and beautiful venue which led to good orders and lots of sampling from our largest selection of luxury fabrics from across the globe. Established brands, big designer labels, newcomers and next generation students working on their final collections were among the visitors from across the UK, as well as from Scandinavia and even the US. “Exhibitors at Textile Forum are in a perfect position to sell to both entrenched brands and also be in the forefront of working with the businesses of tomorrow. We heard many stories this week about customers who started off with a small sample order at Textile Forum who have become much bigger customers and finding these ‘gems’ is an exciting aspect of exhibiting at the show,” explains event director Amy Packham.